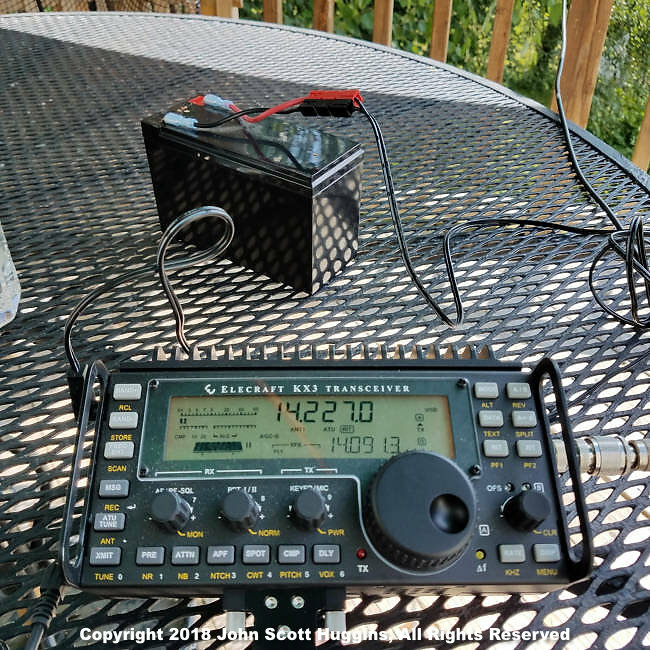 Well it took some time, but I finally got around to activating the old light, USA-1254, near my parents home in Maine for an actual ARLHS event. 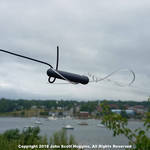 I tried a new antenna along with my KX3, made some noise and made a few contacts. It could have been better, but the conditions were certainly challenging. Some notes follow. 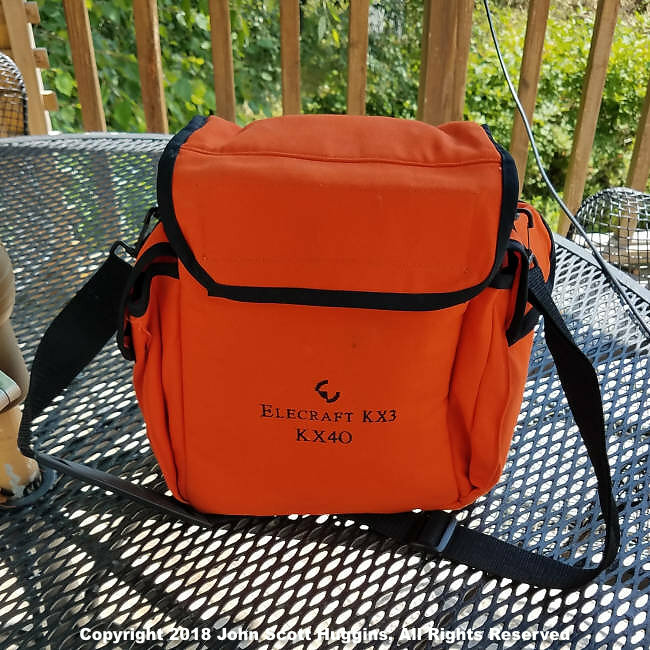 Rose bag for the Elecraft KX3, battery and accessories. I needed a quick antenna to take to the beach so ordered one of these from LNR Precision. I’ve been a fan of LNR since the PAR days. Read more about my interactions with them on my ham radio blog. There isn’t much to this antenna. 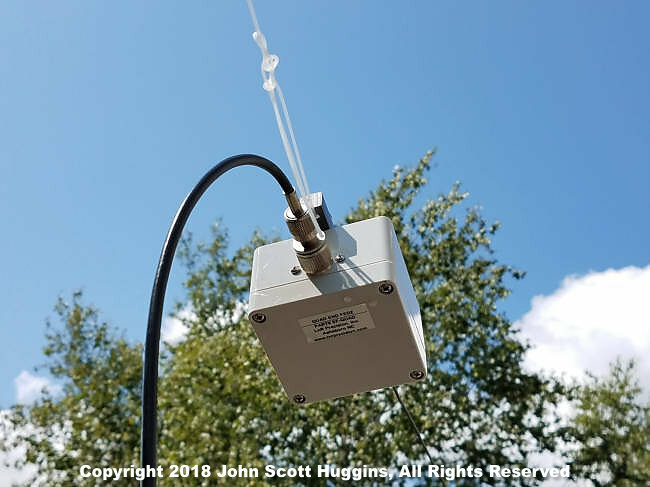 The primary feature is the 50 ohm to thousands of ohms transformer box to properly feed an antenna at a current node… namely the usually free end of the antenna. Feed end of LNR Precision EF-QUAD 40, 20, 15 and 10m end fed antenna. Other end of LNR Precision EF-QUAD 40, 20, 15 and 10m end fed antenna. The polyethylene coated antenna 18 AWG wire is a real treat to use and behaves reasonably well stowed or while installing. That’s weed trimmer line on the right. It’s the only thing I could find in the house to install the antenna. The operating “desk” is my mother’s outdoor table. I moved this around depending on the sun angle. Elecraft KX3 and N1MM to store contacts. I could kick myself for not brining my USB CAT cable as this works very well to sync the Elecraft KX3 and operating parameters including band, frequency and mode. I think some improvements to the UDC macro file are in order, but am grateful to KA1IOR for making this back in 2010. Expect more details on how to make good use of N1MM for ARLHS events. 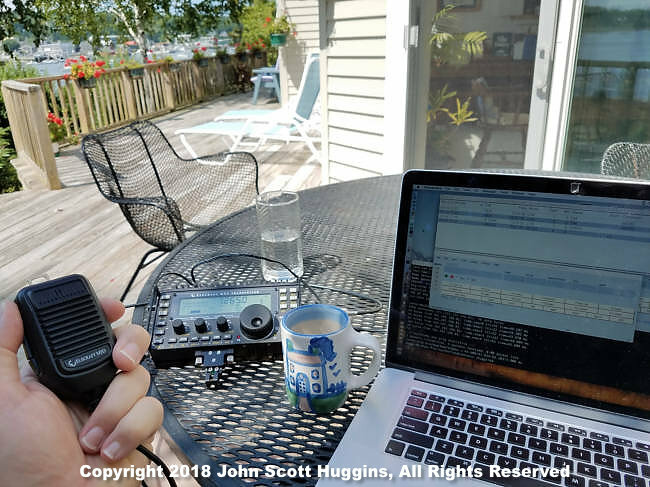 Well this isn’t what I would call a tremendously successful activation, but at least I got to make some noise on the bands and garner two lighthouse to lighthouse QSOs with Tim and the K8EPV crew. The WLOL team continues to work through a backlog of proposals for entries to our light list. It seems our little WLOL list has become somewhat of a standard light reference. We regularly receive coordinate updates, corrections and other notes to help fine tune the information stored in our database. 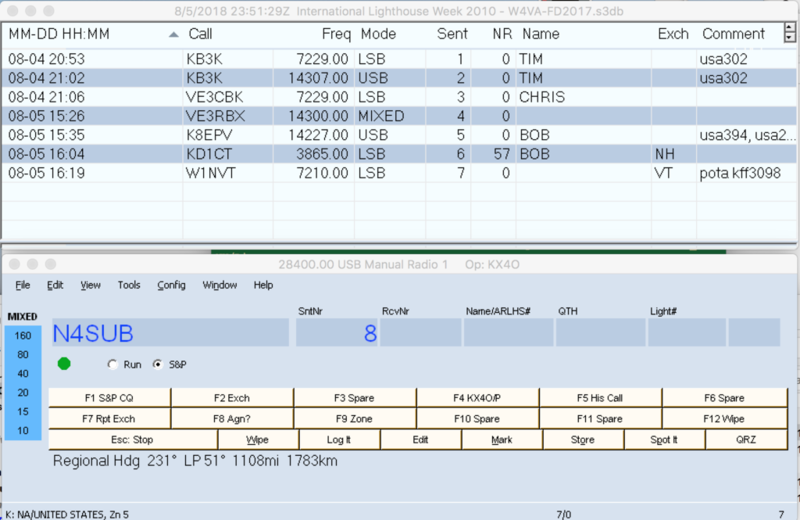 There’s no doubt the WLOL exists for amateur radio purposes, but has become much more to world at large. A big thank you to Dan (KD3CQ) and his merry gang of reviewers who analyze proposals and corrections with keen and careful eyes. We can’t forget Tim (K4VDX) who has singlehandedly modernized the certificate process making it more efficient than ever. Many of you are already enjoying the product of Tim’s efforts. Thanks Tim! Our cheerleader is, of course, Jim (KA3UNQ) who’s frequent messages keep us appraised of important details. I give Jim credit for giving the ARLHS flywheel a fresh spin just about every day. It certainly inspires me to keep doing what I do in the back office. Thanks and keep it up Jim. And of course our intrepid activators give us the contacts we desire for our logs. Thanks to all of them for the, all too often expensive and difficult, journeys to far away places in the pursuit of activating lights. Thanks to all for a great year so far. I hope to activate a light or two this weekend in Maine.